Title: 'Carte de la Turquie de la Arabie et de la Perse'. 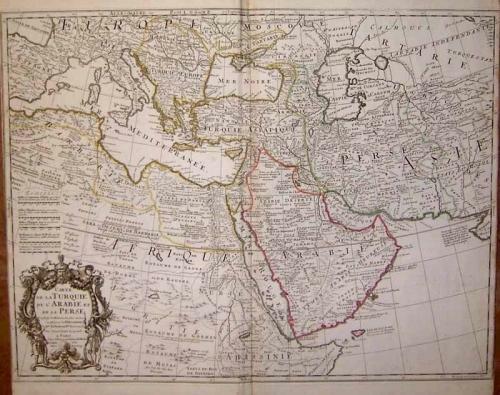 An elegant map of the Turkish Empire and Arabia by Frances leading cartographer of his day. The condition is very good although the side margins have been trimmed. There is a small bottom centerfold split and minimal foxing to the upper margins (well away from the image area). This large map would still frame well.